Relax in this custom-built waterfront vacation home, tucked away in an exceptionally private wooded lot of almost 3 acres – yet only minutes from fine dining, eateries, and shops in St. Michaels and Tilghman. Its recent top-to-bottom renovation delivers luxury, comfort, and functionality that will delight the most discriminating guests. 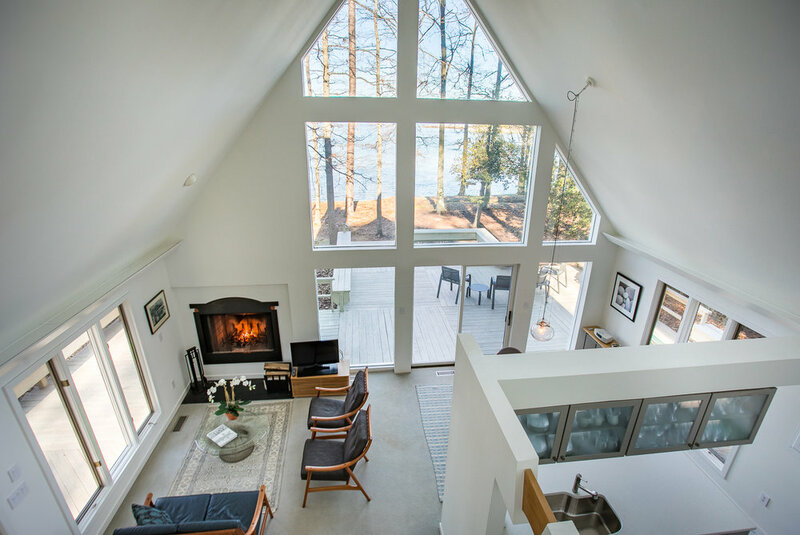 Overlook on Dun's Cove is a perfect vacation rental for couples, families, anyone who wants to escape to an idyllic retreat on Maryland's Eastern Shore. Two bedrooms, each with own bath. Sleeps 4. New gourmet kitchen with SubZero refrigerator, Asko dishwasher, Jenn-Aire stove and microwave. Wraparound deck for carefree enjoyment and outdoor entertaining -- the property is protected with professional mosquito and insect control. Private deepwater pier with shore power, running water, lights, and dock storage box.